“Unlike the previous incident which was caused by sand dredgers, this incident was happened because the boat hit a log and capsized, upturning its passengers into the water. “The boat is called a fibre boat because it has engine. It happened in Badagry. It so happened that the open canoe hit a log while sailing, lost balance, and capsized with 10 passengers. “Emergency responders like the Marine police, LASWA, NIWA and local divers have rescued eight people alive while the search for a woman and the driver of the canoe continues. 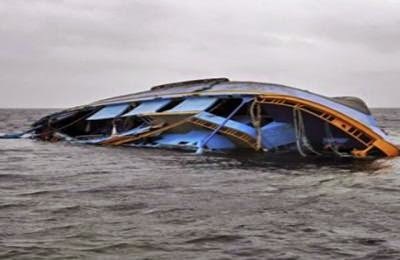 The correct figure of those rescued alive is eight. Also, out of the eight, only four wore life jackets while others did not.